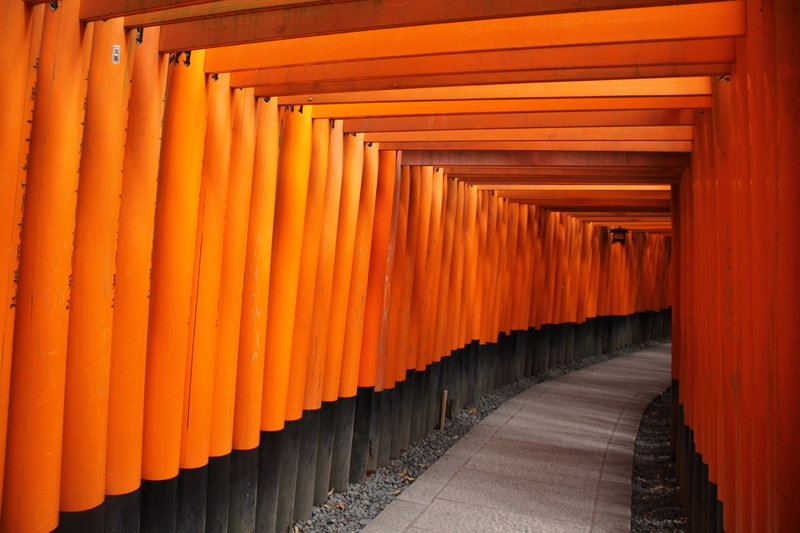 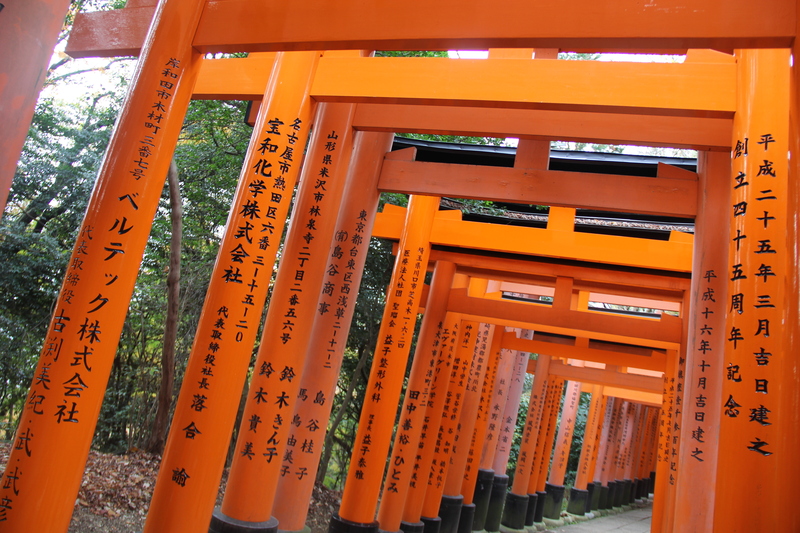 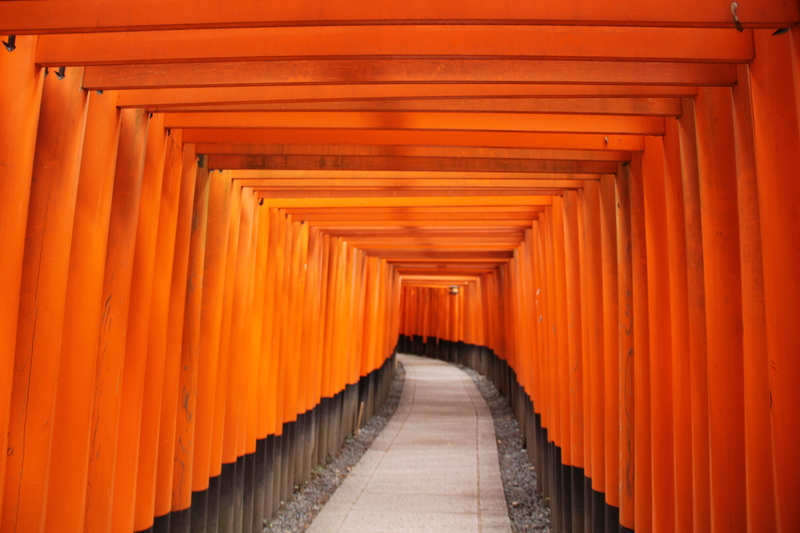 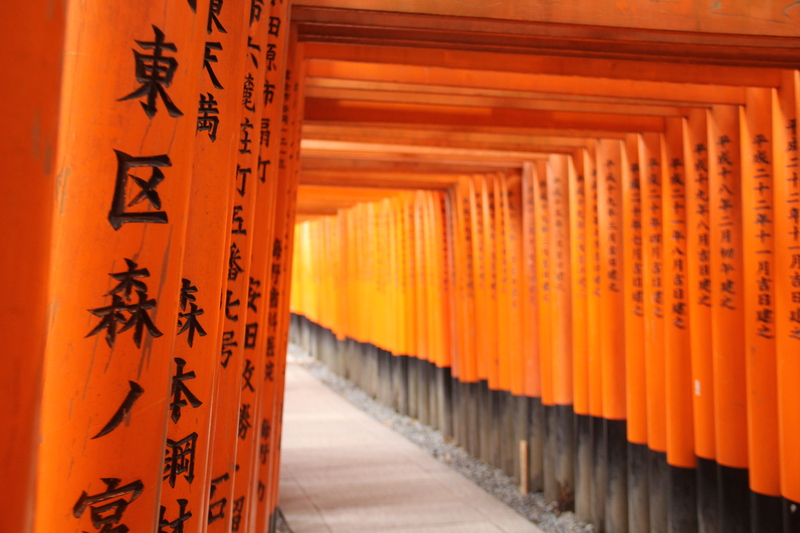 If you like the color orange, you’ll love Fushimi Inari-taisha. 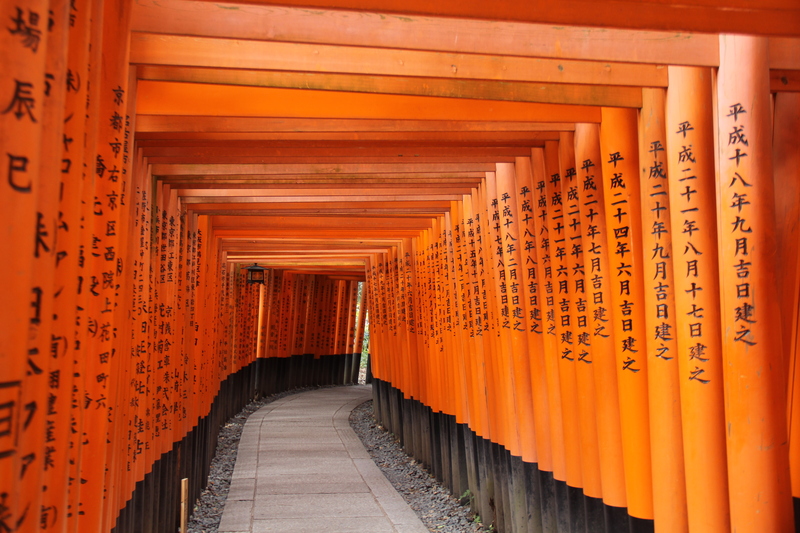 Fushimi Inari-taisha is the main shrine located at the base of the mountain Inari. 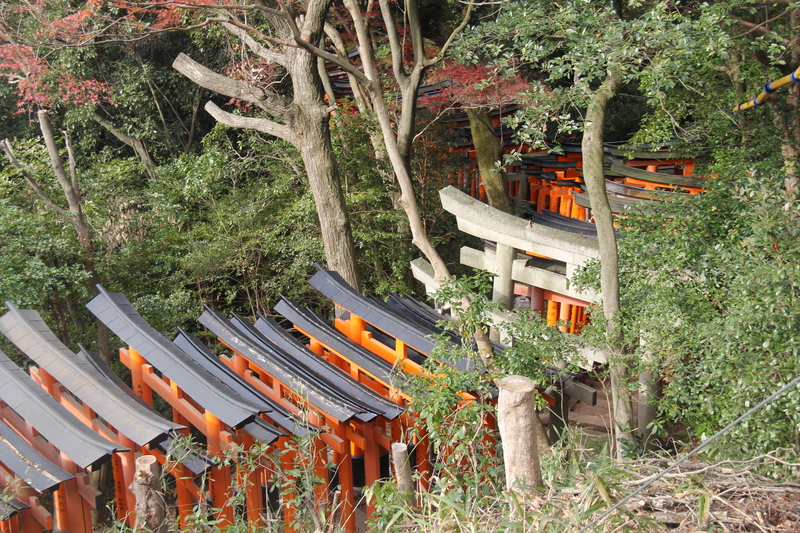 The path up the mountain is flanked by thousands of bright orange gates leading to smaller shrines as you climb the steps and leave the tourists far behind. 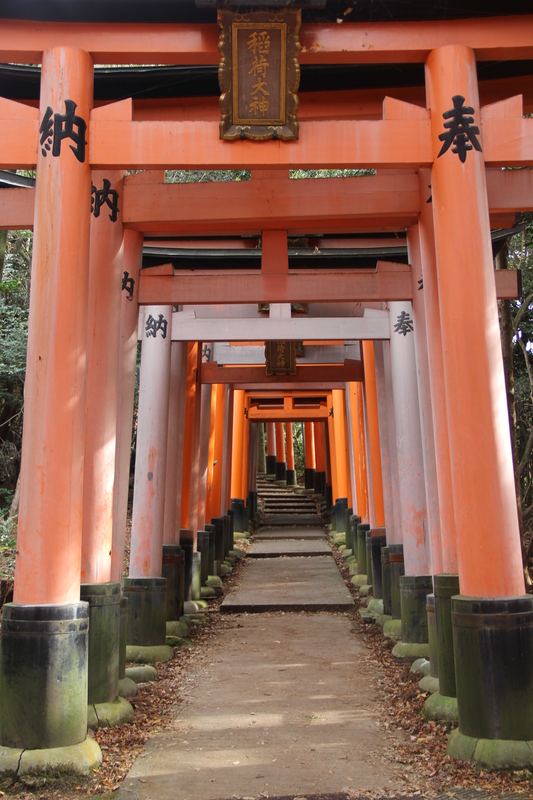 Inari is the patron of business and merchants, and each of the gates (called torii) are sponsored by a Japanese business. 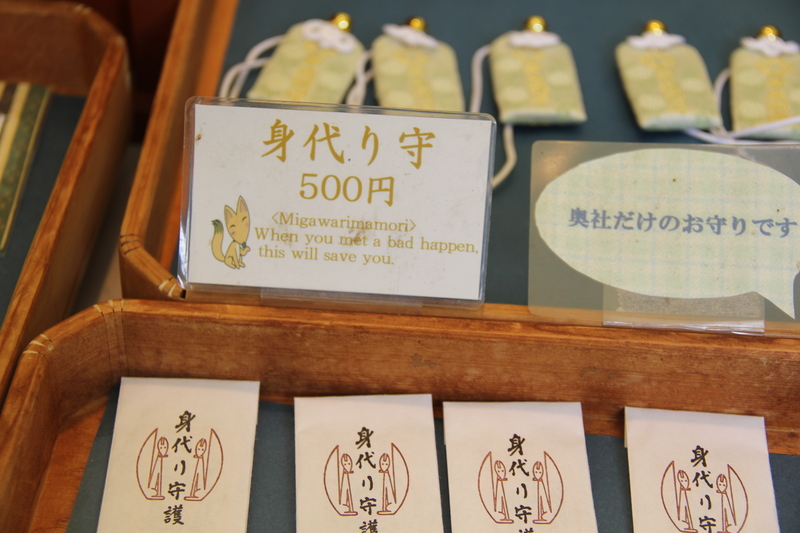 This factoid explains some of the charms I found for sale. 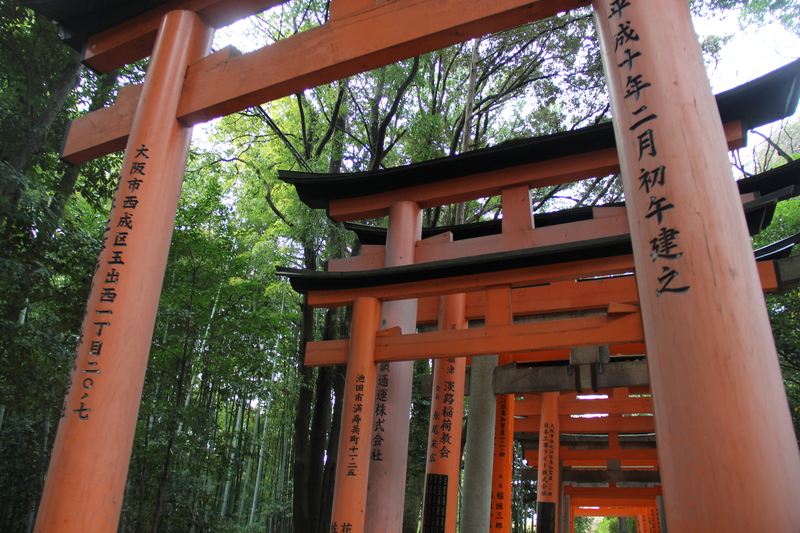 This is the nature of money. 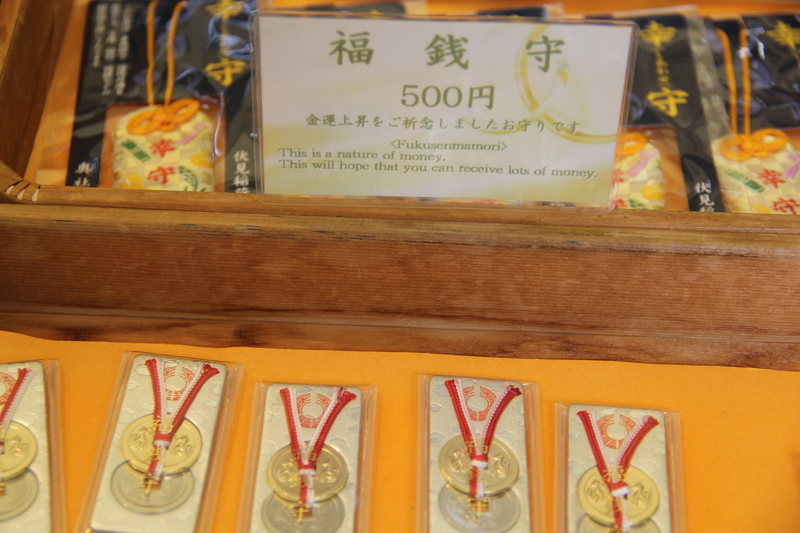 This will hope that you can receive lots of money. 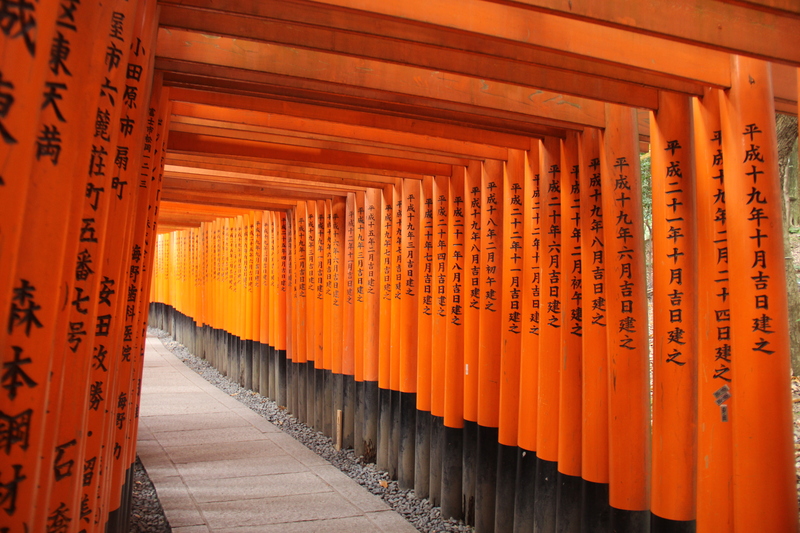 When you met a bad happen, this will save you. 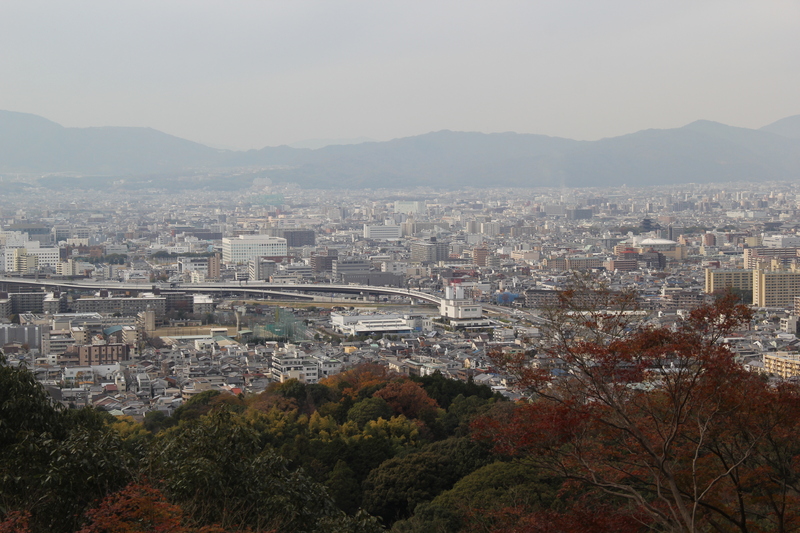 The beginning of the hike is fairly flat and swamped with tourists. 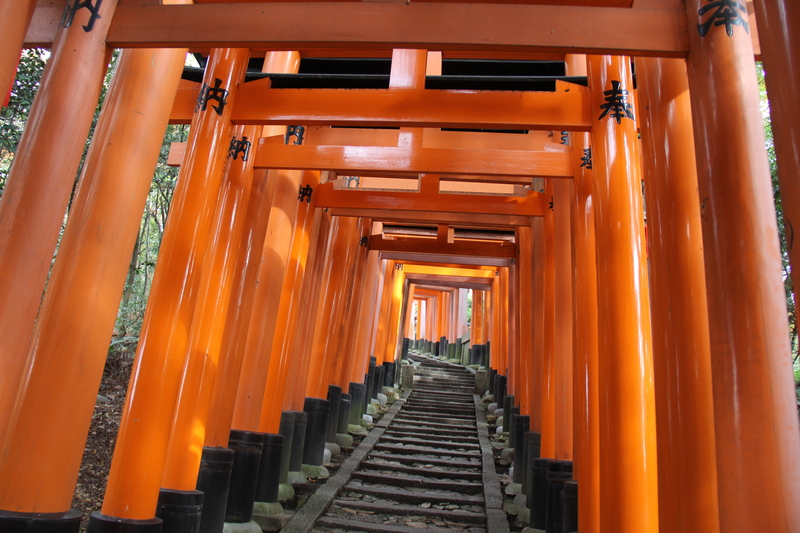 As the path climbs, fewer tourists opt to climb with it, and you’ll have thousands of orange gates to yourself. 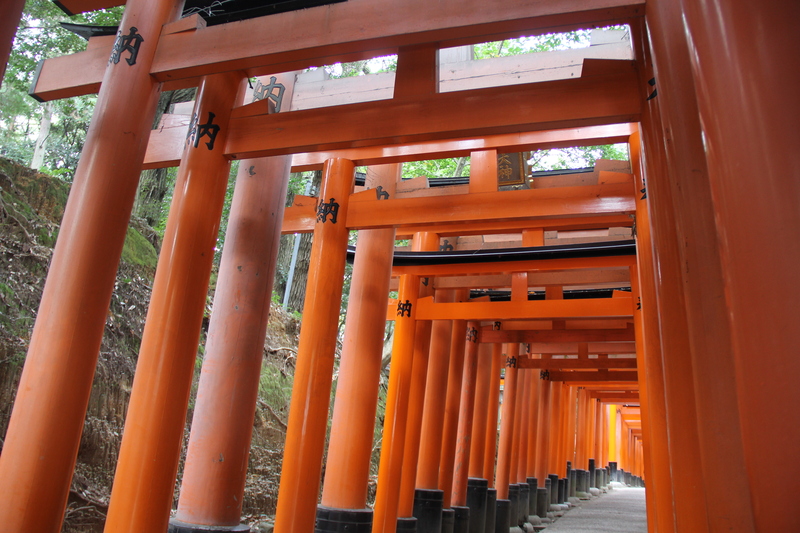 According to the Internet, the more than 10,000 gates date back to 711. 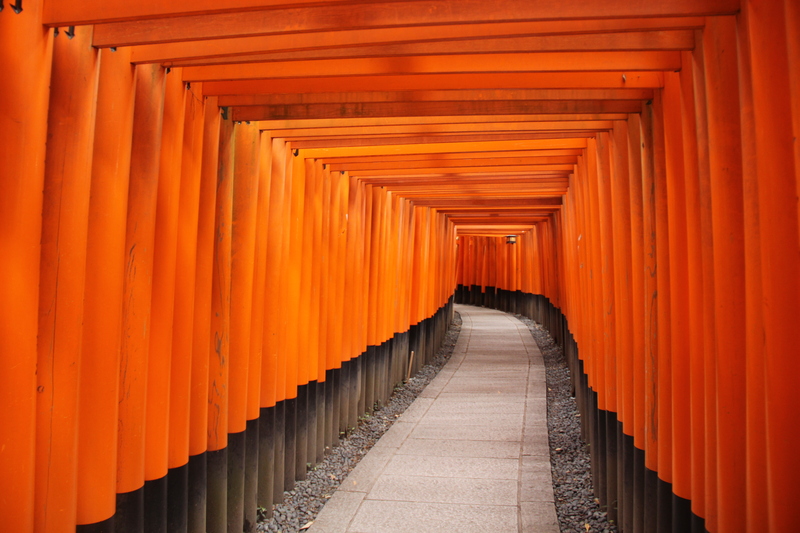 I can see people saying, “What’s the big deal about a bunch of orange gates?” But I was not one of those people. 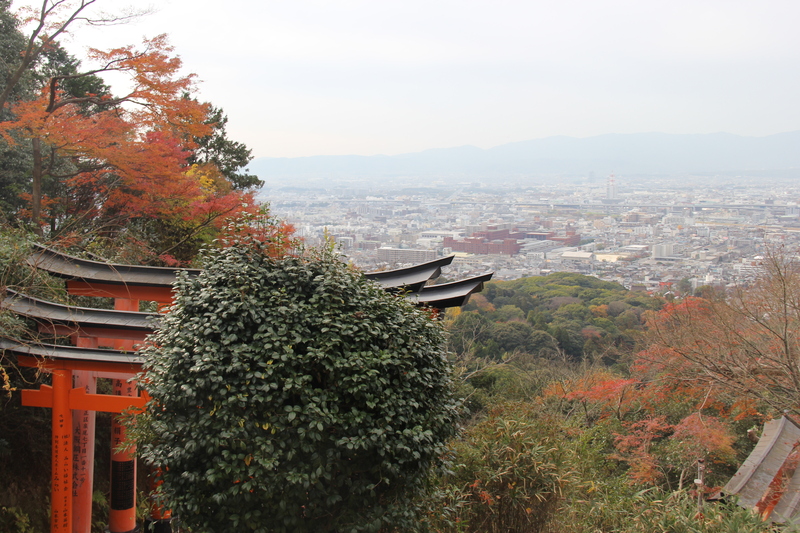 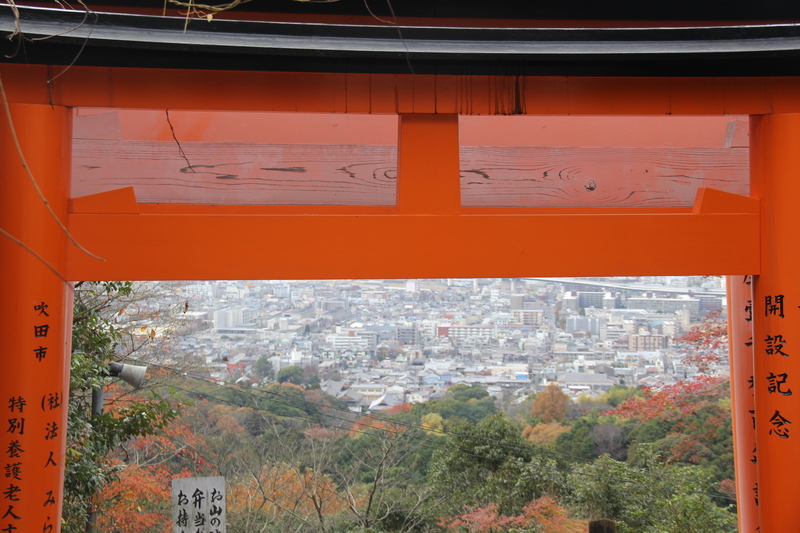 I loved the bright orange torii, and I loved climbing with them high above Kyoto.